Shawn called me up about a week before his big plan was going to unfold and asked if I could film his proposal. I of course said yes! 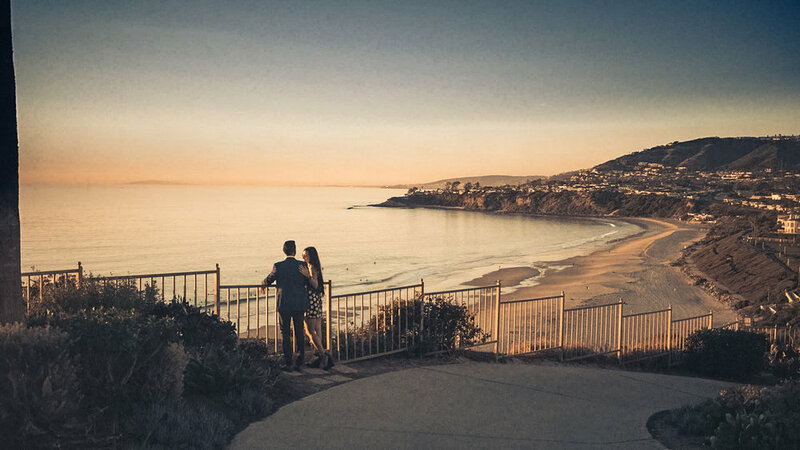 His plan was to propose at the Ritz Carlton in Laguna Niguel, perfect setting for a proposal but that wasn't enough for Shawn he wanted it over the top. He proceeded to tell me he had already hired a harpist but didn't want her knowing she was there for them. I was so excited when the ideas started flying around the room. I told him it wouldn't be a problem, we can just pretend we are filming a music video. We spoke about a wide range of interesting ideas from having the drone drop the ring off to having it put inside a small cake. It was at that point that we came up with the idea of having someone drop it from the room above them. Worked like a charm, figuratively and literally. The stage was set for a great proposal. Congratulations and thanks for having us be a part of your proposal, can't wait for the wedding! !